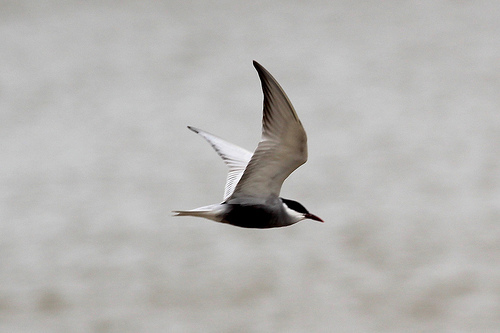 The Whiskered Tern is a so-called swamp-tern. That means it mainly breeds inland at lakes and marshes. 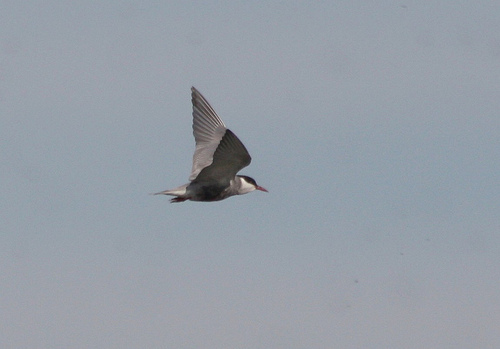 The species doesn't belong to the white terns, but neither to the pitch-black terns. With its dark grey feathers, it is exactly in between.